Why aren't all my rounds being counted in my handicap? 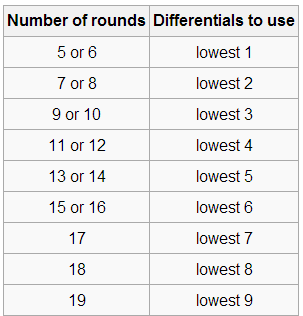 The short answer is: Not all the rounds you submit are used to calculate your handicap, only the best rounds are. We use the same calculations as the USGA when it comes to calculating your handicap. Their formula does not allow rounds for courses with a par below 69. So the par 3 and executive course rounds will show up on your round listing, but not in the handicap listing.